In recent years, in home care has become one of the most popular methods of health care as an alternative to institutions and assisted living facilities. At home care allows you or your loved one to remain in your home while aging, recovering from illness, or rehabilitating from surgery.A-1 Domestic and A-1 Home Care provide clients with caregivers, home health aides or nurses in all areas relating to recovery and healing. As a Caregiver Service Company that has consistently exceeded client expectations and has been in the home health care business since 1991 in Los Angeles County, Orange County and serving cities such as Pasadena, Glendale, Whittier, Downey, Long Beach, Costa Mesa, Huntington Beach, Torrance, Santa Monica and Seal Beach, we are a care company you can trust to ensure greater quality of life and well-being. At A-1 Domestic & A-1 Home Care, we aim to serve the elderly or senior client in all capacities. We understand that unforeseen circumstances can call for live in care, hourly care, overnight care and even long-term care. Regardless of your individual need, we are open 24 hours a day, seven days a week to provide same-day or next-day caregiver services. Our caregivers are able to provide services for those who just had hip surgery, knee surgery, bed sores, cosmetic surgery, Rheumatoid Arthritis, Osteoporosis, Sundown Syndrome, incontinence problems, hearing problems, eyesight problems, Lung complications, kidney failure, Alzheimer, Dementia and Parkinson. As a company, along with our team of trained and certified caregivers, we not only make it our mission to manage the needs of you or your loved one, but to work with your schedule anytime you require care. 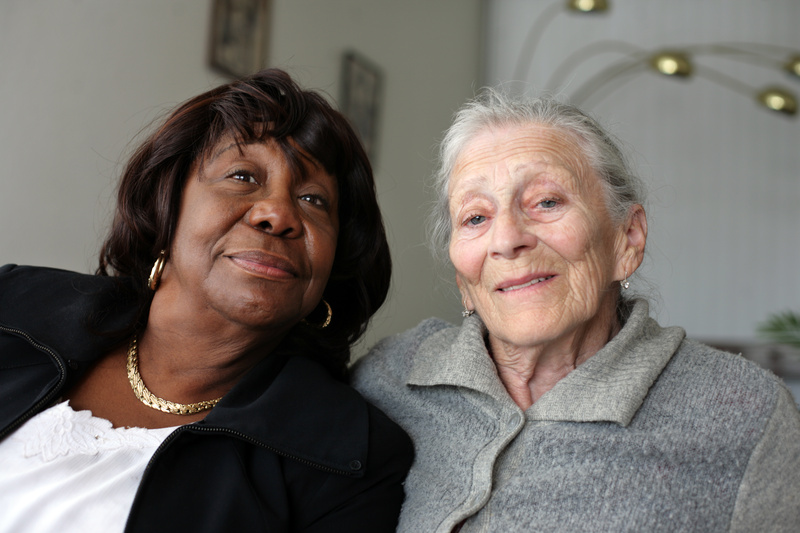 Calling in the help of a caregiver or home health aide for you or your elderly loved one can be a daunting task. With the help of A-1 Domestic & A-1 Home Care , there is no need to worry that the kind of caregiver or nurse aide you will be receiving is anything short of professional, trained, trustworthy, and compassion. Through our extensive hiring process, all of our caregivers or nurse aides are screened through face-to-face interviews and extensive background checks. Only individuals who possess not only the experience and training necessary, but also compassion and patience, work on our team of caregivers. Our Service include elderly home care, live in caregivers, senior companions, respite caregivers, hospital sitters, home helpers, personal care attendants and elder caregivers. Regardless of your need or level of care, A-1 Domestic & A-1 Home Care will personally match you with a caregiver or nurse aide that not only suits your needs, but is compatible with your elderly or senior loved ones. We provide care on many levels ranging from companion care, live in care, after surgery care, Hospice care, Dementia Care, Alzheimer Care, Parkinson Care, Stroke Care, Respite Care, Arthritis Care and elder care. There is no need too great or too small for our company to place a trusting caregiver in your home. We firmly believe in quality of life and healthy living for all individuals. To Hire an in-home care giver call A-1 Domestic Proffesional Services at: (877)929-8499.